Among the scholastic theologians there have not been lacking those who, wishing to inquire more profoundly into divinely revealed truths and desirous of showing the harmony that exists between what is termed the theological demonstration and the Catholic faith, have always considered it worthy of note that this privilege of the Virgin Mary’s Assumption is in wonderful accord with those divine truths given us in Holy Scripture. To mention only a few of the texts rather frequently cited in this fashion, some have employed the words of the psalmist: “Arise, O Lord, into your resting place: you and the ark, which you have sanctified” (Ps 131: 8); and have looked upon the Ark of the Covenant, built of incorruptible wood and placed in the Lord’s temple, as a type of the most pure body of the Virgin Mary, preserved and exempt from all the corruption of the tomb and raised up to such glory in heaven. 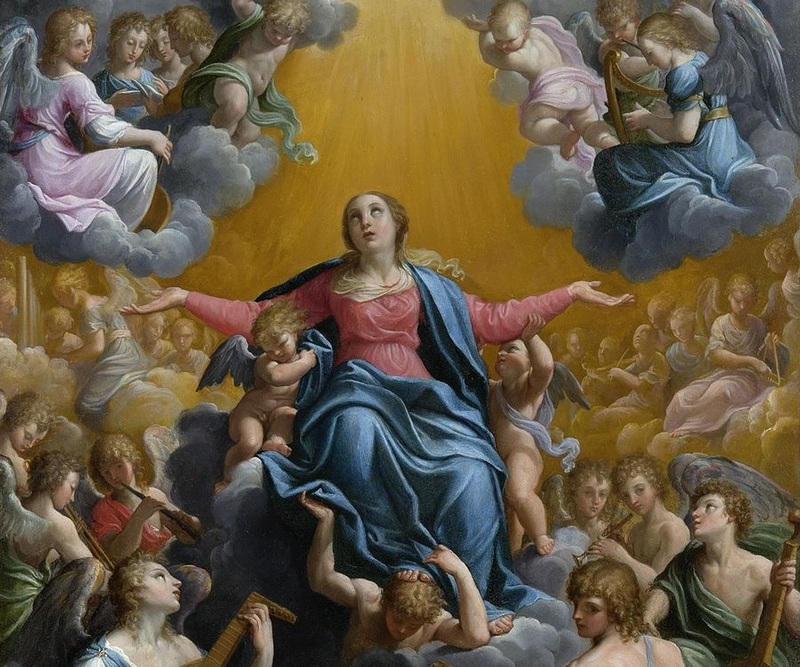 Treating of this subject, they also describe her as the Queen entering triumphantly into the royal halls of heaven and sitting at the right hand of the divine Redeemer. Likewise they mention the Spouse of the Canticles “that goes up by the desert, as a pillar of smoke of aromatical spices, of myrrh and frankincense” to be crowned. These are proposed as depicting that heavenly Queen and heavenly Spouse who has been lifted up to the courts of heaven with the divine Bridegroom. Blessed are you, Oh Holy Virgin, by the glorification of your body you were redressed in celestial beauty. O Dear Mother, help us to willingly offer our trials and sufferings for the love of Jesus so that we will also merit the joy of the Resurrection.